Always a fascination, cafes offer so much interest with the shapes of tables and chairs, parasols and clothes. Observing people, in discussion, in thought, in action. So much to reproduce into a painting. I just love the reflected colours caught on white buildings in sunlight and the winding little streets in these villages. It leaves one wondering what is round the next corner. The still calm waters of the early morning, creating fascinating reflections. The silence, broken only by perhaps birds marking their daily territory. 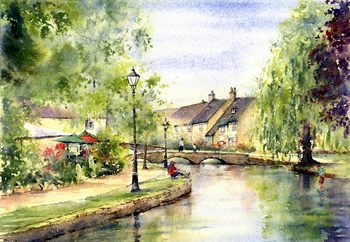 Honey coloured stone buildings with the River Windrush running right through the centre of this pretty Cotswold village. Indeed the most current and most inspiring location for my ever-popular Spring short break painting holiday. Always blissfully sucessful. 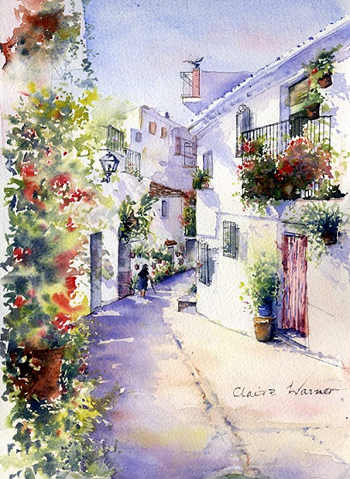 Our inspiring English painting tutor Claire Warner is a talented artist, painting freely in watercolours, oils and acrylics. Claire’s mother introduced her to the joy of painting before she went to school, and it became a passion from that time. Claire is also an experienced tutor, having taught all age groups and abilities for more than 20 years. She will tutor primarily in watercolours, but is also happy to help with oil and acrylics. There is no pre-requisite level to attend her workshops or holidays. Beginners through to more experienced artists can benefit from her teaching, and Claire offers plenty of help and individual attention. Your enthusiasm is so infectious and your encouragement very much appreciated. 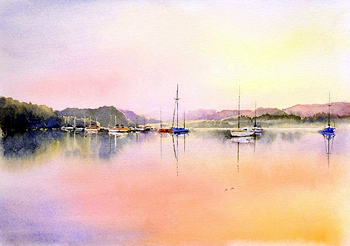 You are one of those rare tutors who show us your approach to a painting and then encourage us to develop our own way, such a refreshing change from the ‘paint along with me’ method that I have encountered on so many occasions. Furthermore, you are so generous with your time and use of your materials. 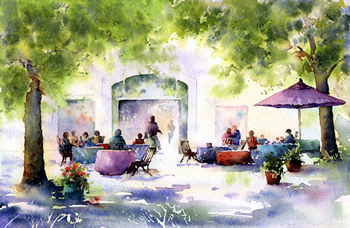 Thank you, Claire for being a great teacher and enthusing us all to produce our many and varied paintings and sketches. Having painted with Claire for the past five years initially as a complete beginner, she continues to inspire me and I thoroughly enjoy all the classes I participate in. I now feel confident enough to exhibit my work and have sold some of my paintings.